When I was pregnant with Sophia, I threw myself a simple baby shower at home with a little help from a friend. Being young with no enough knowledge on proper etiquette and all, I did that for the gifts, apparently. 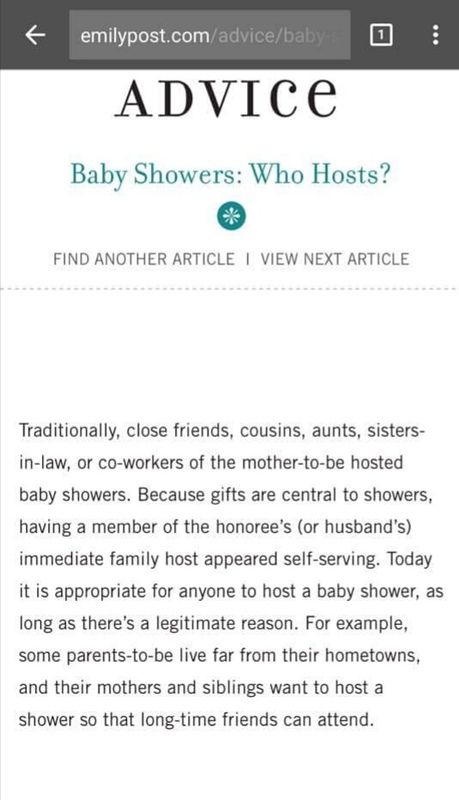 As how we know it, "gifts are central to showers." That's the main reason why there is such to begin with. At the onset of my current pregnancy, I thought about it and discussed it with my husband. He said that no one will come to our baby shower anymore (should we have one) since most of the friends who attended the first are no longer in our circle. Even if it hurt me big time, I agreed with him. Sometimes, for one to finally accept the truth, it has to hurt first. I have moved on easily, though and gotten over it already. For me, growing up means losing some friends in the process. Even if I have decided to no longer hold a baby shower, I still wondered who might be coming just in case. And then I read Emily Post's short advice as shared in the only mommy-centered Facebook group that I am a member of, Glam-O-Mamas. It made sense to me. So yup, now on my 36th week, instead of spending it on a shower that I could have thrown for myself, I just bought my rainbow baby the things she will need. Also, it taught me what to tell the people who asked when I would have one. Hihi. Thankfully, there are still some who showered us with love and made us feel extra special with or without a party. How about you, what are your thoughts on this? Parang walang aattend sa akin if ever meron at wala din mag-aabalang magsurprise, naubos na ang mga friends ko eh. Sad life. I was also the first one in the barkada to get married and get pregnant, and I’m also usually the party planner of the group. 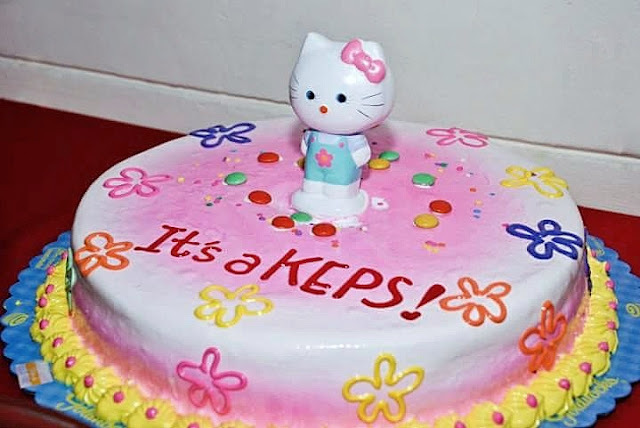 That’s why instead of waiting around for them to organize a baby shower for my baby, I just decided to have a gender reveal party and organize it myself. Since my husband and I are having a baby boy who’s going to be the first baby boy in his side of the family and one of two boys in my side of the family as well, we thought it would be fun to surprise them with baby’s gender. And although a few people brought gifts for my baby, it was fun to celebrate baby’s arrival with just a few friends and our immediate family members.